WE PROVIDE SUPPORT 24/7/365, ON – SITE, ONLINE, OR BY PHONE. Since we design and build our aviation training systems ourselves, we know them backwards and forwards. We create a support team for each customer and provide answers quickly. As experienced hardware and software engineers, we build the best. As pilots, we understand your requirements. As a company, we are always open to new requests and requirements. Together, we will find the optimum solution for your flight training operations. At AXIS, quality is a given. 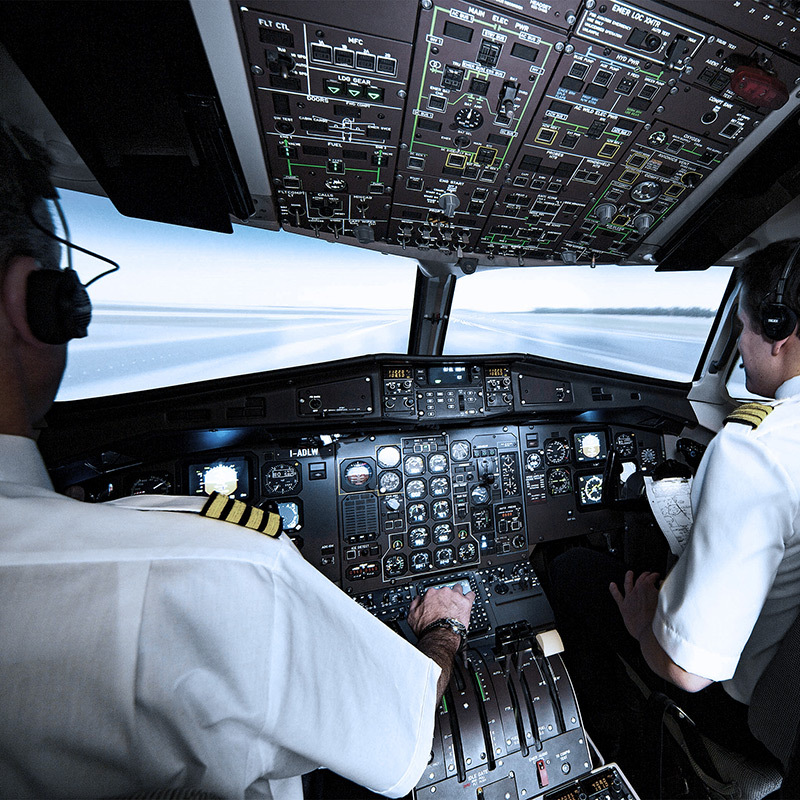 We design and build our flight simulators in Austria under constant quality assurance, and it goes without saying that our processes are certified to ISO 9001-2008. As an innovative simulation technology company, we create new approaches that make flight simulators more realistic, more reliable, easier to operate, and more economical - and thus more profitable to own and run. We build full flight simulators to your requirements, not to ours. We are fully focused on your needs, and your requirements are always our first priority. "With this simulator’s outstanding fidelity, we can really train for safe operation of the aircraft in every possible situation." "It’s great to know that we can depend on the simulator to be up and running for our customers." "You can tell they really rethought the way a simulator should be built, and when we need help, we get it quickly." "The simulator’s training environment is a real help in my daily work. It gives me everything I need to get the most out of sessions"
"Their quality, fidelity, dependability and support convinced us. When it came time to get another simulator, it was simply logical to choose AXIS again."